There was an emergency snack situation at my house this weekend. My kids were desperate for their favorite Saturday snack, Coconut Donut Holes, but the local snack-dealer, I mean donut store, was closed for the day. Mom had to bake on Saturday…what torture (just kidding, it’s one of my favorite things to do). I even got the kids to help me pull together these Coconut Donut Holes. They could cut them out, they rolled them in the coconut…they basically had a blast and got messy. I kind of think I might be making these again in the near future…they had so much fun. Now, if you’re not quite ready to make your own Coconut Donut Holes, just go ahead and pin this recipe. My kids were in need of a snack. And not just any snack. They wanted Coconut Donut Holes. But it was well past 2pm and the donut shop was closed. 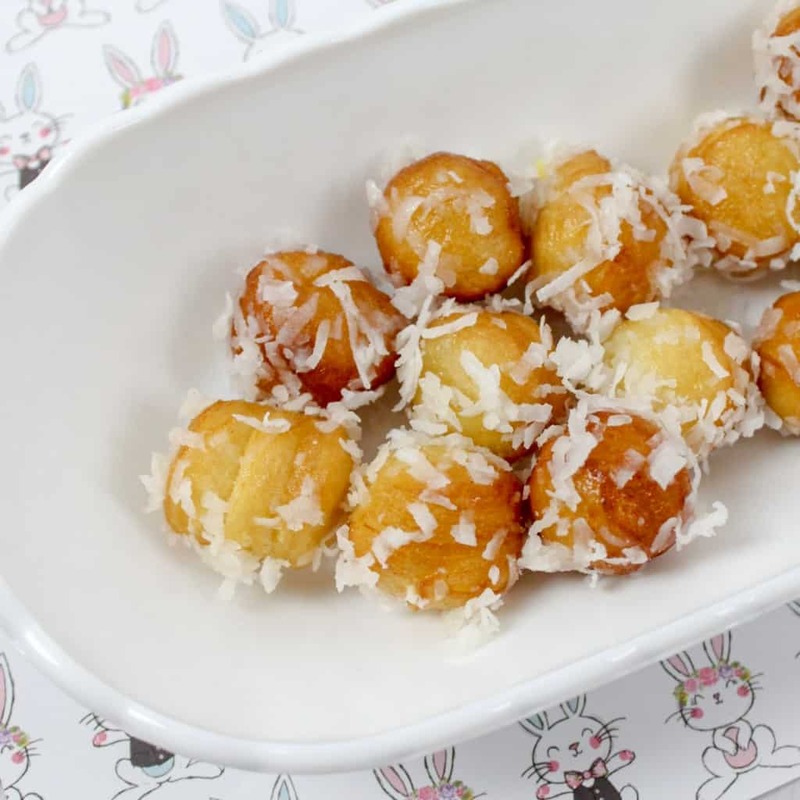 This mom is not without resources though--and so I made homemade Coconut Donut Holes! Pour vegetable oil into a sauce pan and place on medium-high heat. Take the biscuits out of the can and lay them on a cutting board. Use a 1 inch round cookie cutter (or even the cap to an olive oil bottle!) to cut circles from each biscuit. You should be able to get 4 circles from each biscuit. Gently place 4-6 of the donut rounds into the oil. When one side is golden brown, use tongs to flip over and fry the other side. Take out and let cool on a plate. 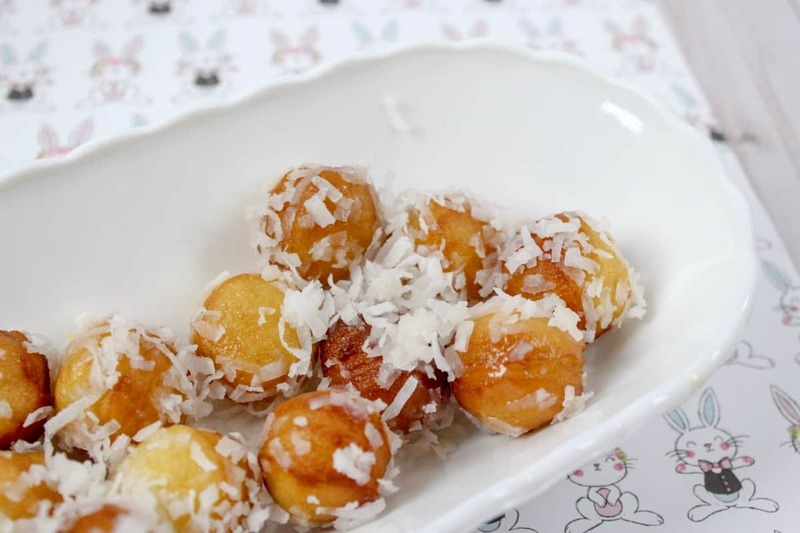 In a shallow bowl, mix together coconut milk, vanilla and powdered sugar to make a thin glaze. Pour the sweetened coconut in another shallow bowl. 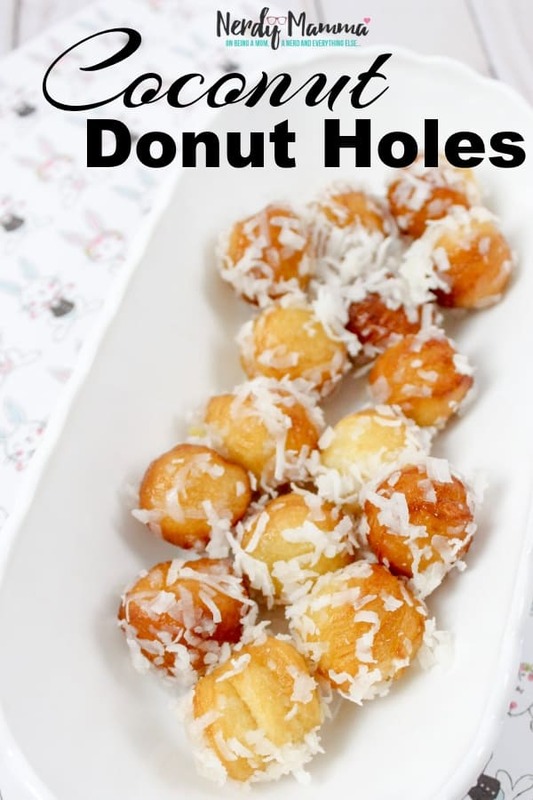 Dip each donut into the glaze and then roll around in the coconut. Place on parchment paper to set.